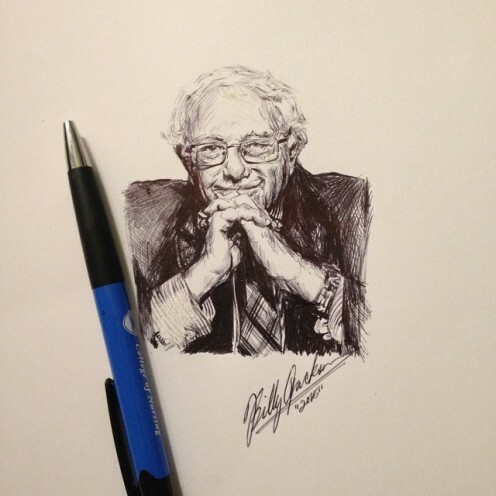 I'm afraid I'm becoming obsessed with the Senator from Vermont, Bernie Sanders. He may seem like an ordinary man, but to me, he's a superhero. I'm not alone in this feeling as thousands, probably millions feel the same. 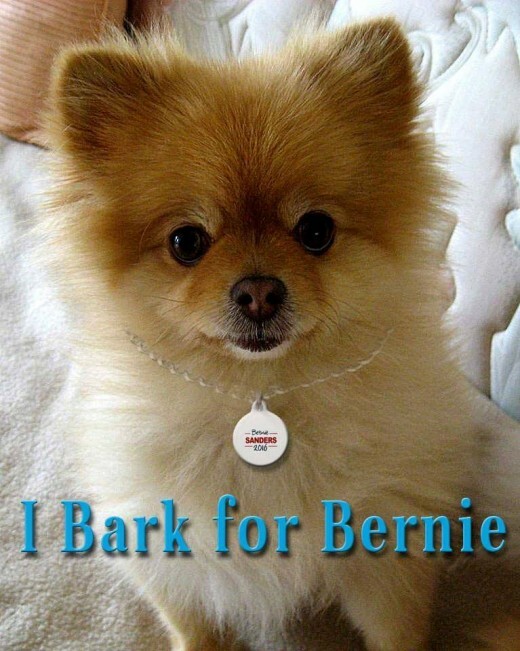 There's even a Facebook group called Bernie Is My Superhero. Bernie Sanders started his campaign for president as a relatively unknown who has risen in the polls as people learn about him and his proposals. This modest man spent years as the Mayor of Burlington, Vermont, followed by years in the House of Representatives and then the Senate. Despite many years of public service, and being held in high esteem in Congress and in his own state, few people across the country knew of him and what he represented. Now millions of people are fired up about politics, many for the first time. Some people gave up on voting and felt that the government didn't represent them. Now they are inspired to vote again. They show up at giant rallies and call out Bernie's name like he's a rock star. He gives them hope that the government will once more be "for the people and by the people." Bernie Sanders is the start to a better future for America. A better future for our children, a better future for everything. For a long time, I've felt frustrated by the suffering of friends and family. I have a pretty good life and it hurts to see someone postpone an operation because they don't have health insurance. It causes me pain to see friends and family lose their homes to foreclosure. I see young people join the army because they can't find a good job and because it eventually will help fund their college. There's a great risk that they may get killed in one of the unending wars that the U.S. has been embroiled in. They may come home with severe injuries like brain damage or missing an arm or a leg. I see elderly people in their late 70s or early 80s working as a greeter at Walmart because their Social Security isn't enough to keep a roof over their head, food on the table or get the medicine they need. Bernie Sanders, my superhero, has plans to improve on these issues. These are just a few of the plans he has to make things better. 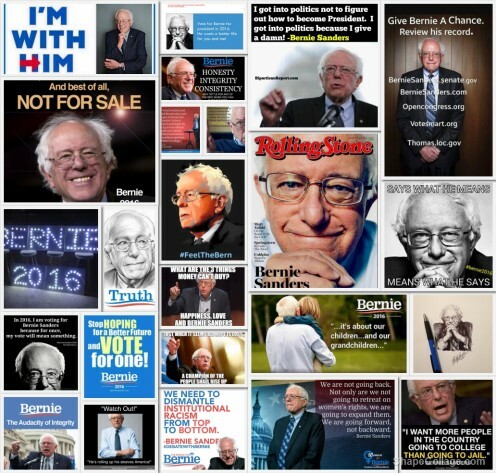 The official campaign website for the presidential campaign of United States Senator Bernie Sanders. 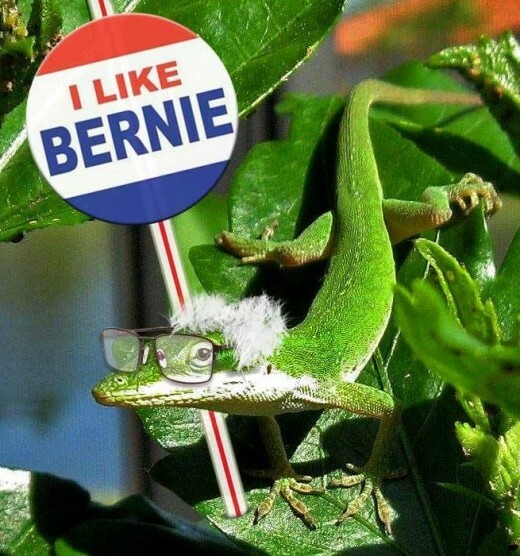 They have a variety of colors, but I need a Bernie Blue shirt and this has a good picture of him plus his name. 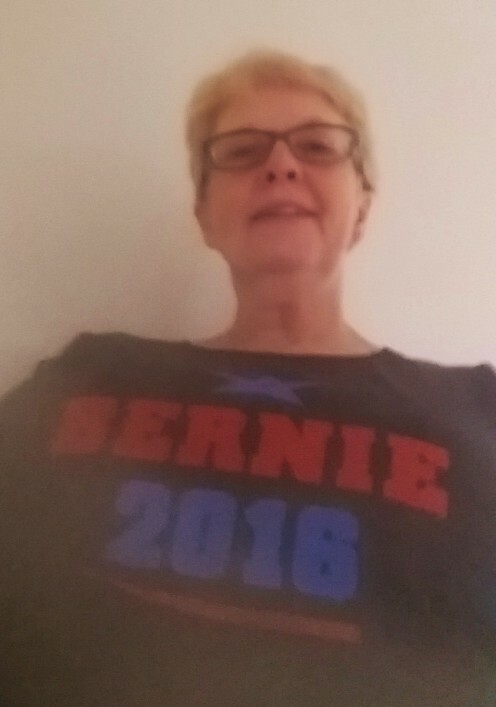 My goal is to have enough Bernie shirts that I don't have to rush a load of laundry through the night before my grocery shopping excursion. 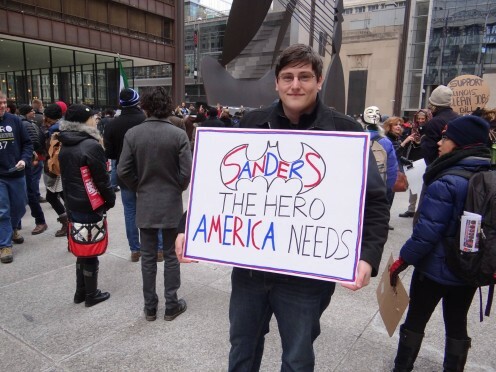 Others consider Bernie Sanders their hero as well. Here's an example of the dedication of his followers. Robert Lee W. - My fiancé and I walked 8 miles from Aurora to get to the Denver rally, because we had no money for gas nor public transit. We arrived dehydrated, exhausted, and in pretty severe pain, but happy to be there. It was PACKED, but totally worth the walk. Hearing Bernie Sanders speak in person was so incredibly awe inspiring. We would both do it again in a heartbeat! The changes that Bernie proposes are major changes that require getting big money out of politics, breaking up the big banks, and changing the structure of health care (controlling drug costs, removing insurance companies as the middleman). His plans include an overhaul of our justice system to end prisons for profit, decriminalize marijuana, require federal investigations of deaths in police custody and provide mental health care so those with problems get treated instead of just thrown in jail. He can't do all this without the help of millions of people voting. We must vote for people in Congress who aren't beholden to lobbyists. Our Congress must be responsive to the needs of the people. DONATE! It can be a small amount, whatever you can spare. It costs money to rent venues for speeches and to run ads on television. Bernie doesn't take money from billionaires. lobbyists or corporations. All his funding comes from the people (or from unions who represent the workers). Canvased for Bernie, going door-to-door to tell people about the campaign. There's an app for this. 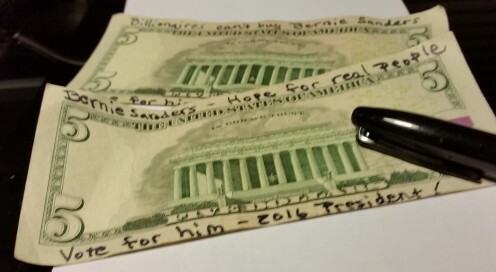 Use whatever talents you have to promote Bernie Sanders. People are writing songs and performing those on YouTube and creating art and painting murals in public places. 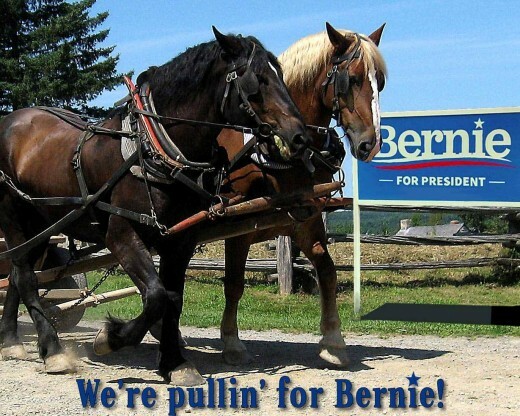 Have You Done Volunteer Work for Bernie's Campaign? I must have been in that deep sleep where you aren't even dreaming. Sometimes you don't realize that you've been asleep until suddenly you wake up. You know how you first start to swim to the surface after a deep sleep? When the light starts to filter into the room and your mind reacts to that. It can be a slow process with no alarm buzzing to jolt you out of your cushy bed. That's what my last year felt like. It was the year I started on my political awakening. Like most Americans, I considered myself super-busy just getting on with living. Politics didn't interest me. I had friends and family who were struggling to get by. Most were dealing with daily burdens that seemed to be pulling them down. They tried to achieve a contentment, a satisfaction with their lives. Some lost their homes, some struggled with horrendous medical bills. Others took on extra work or did without to keep a roof over their head and to pay their expenses. I was one of the lucky ones, enjoying a comfortable retirement, living in an enclave of other retirees enjoying our privileged lives. Then I began tuning into Elizabeth Warren's fight in the Senate to change the situations that brought such misery to so many people like my friends and family. 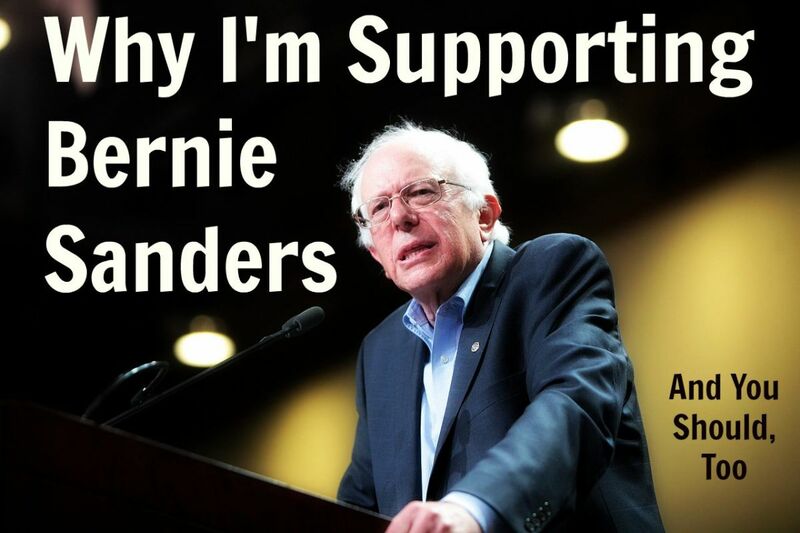 That led me to Senator Bernie Sanders as he began his campaign for president. He spoke of the injustices in our society and the causes of the erosion of our middle class. At last, I was fully awake and no longer in that drugged somnolence that our consumer-driven, media-oriented society lulls us into. I realized that millions of others were waking up too. We are awake now, but dreaming of a better America. One where healthcare is a right. One where all students no matter what their family income is would have a chance to go to college. It would be an America where lobbyists, big business, and billionaires no longer controlled Congress. One where our government would pass legislation to benefit the people, not the super-wealthy. We have a dream. The words of Martin Luther King resonate again as people wake up in America. I love him. I wonder if he knows how much hope he has given to the hopeless, and I hope he feels the love of all of us each and every night. This man is fighting for us all. Xavier Lopez Jr. "At the last debate, Hillary clarified her stance on public education. Bernie wants it to be tuition free, "I also believe in affordable college," she said, "But I don't believe in free college...I want to make sure that "Middle-class" kids, not Donald Trump's kids get to be able to afford college." I keep hearing these words because they seem directed right at me. As a young Hispanic kid--I grew up poor, lived in a two-bedroom trailer, my parent's could not afford to send me to college. I am in debt up to my ears--because I refused to not go to college. I was lucky--I even have an MFA. But in hearing Hillary's words I hear a presidential candidate--who because it is too hard, because it is uncertain--has completely ignored college for the poor. We are invisible to her--for me that is the difference between Hillary and Bernie Sanders and it is all over the last debate. Every time she cries that things are too hard, impossible--she calls Bernie Sanders a dreamer because he asks too much. But honestly, if working for everyone--especially the poor is asking too much then Hillary just doesn't ask enough. Bernie wants free college--wants to ensure that poor, Chicano kids like I was won't have to decide between a lifetime of debt, of having their income taxes taken from them every year, have to decide between having a diploma or a home, between good credit and a diploma. 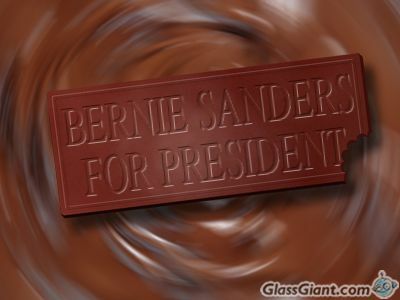 I choose Bernie and I hope he fights for these "pie-in-the-sky" ideas. And I hope to heaven that he wins--with him as president, I might get help with my student loans, if I ever have children perhaps with him as president they could even go to college. Under Hillary--the "progressive who gets things done," she woudn't even try to come close. It is very easy to get things done when everything you ask for has already been approved by the Koch Brothers, the insurance companies and Wall Street." They are men AND women, gay and straight. Every race, and, religion or non-religious. They are people who own guns, and people who don't. 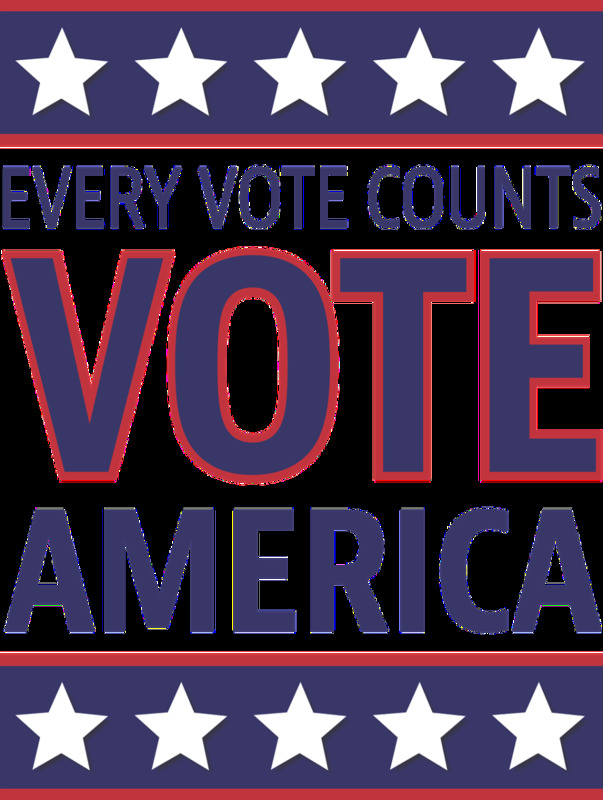 Independents, Democrats, and yes, even Republicans. First time voters, long time voters and voters who gave up on the system. Veterans and active duty. Those with college debt, and those who couldn't go. People with piles of medical bills, who can't afford prescriptions and those that can. People who work more than two jobs just to pay bills and keep food on the table, and those that are doing just fine. They are single mothers, and fathers. They are teachers, nurses and even doctors. They are white collar and blue collar. The retired and the disabled. They are police, and firefighters. Union and nonunion. They are hunters, and Vegans. Cat and dog people too. Bernie Sanders is supported by all these people, and more. What they all have in common is wanting a better life for EVERYONE. They aren't just looking out for themselves. They don't want "FREE stuff" they want the taxes we PAY to go to things we need. Pay, see not free. I can't believe I pay taxes that go to build and improve sports arenas! Frivolous! Bernie Sanders supporters care about you and the future for generations to come. So please, stop listening to those telling you who we are, or what we want. Ask us, we love talking about Senator Sanders. We will give you facts you can research. Research, that is how I found out about Bernie, and why I switched from independent to Democrat. Trust me that was not easy for me but, I did it for Bernie Sanders and for you. What they all have in common is wanting a better life for EVERYONE. They aren't just looking out for themselves. They don't want "FREE stuff" they want the taxes we PAY to go to things we need. Pay, see not free. I can't believe I pay taxes that go to build and improve sports arenas! Frivolous! Bernie Sanders supporters care about you and the future for generations to come. So please, stop listening to those telling you who we are, or what we want. Ask us, we love talking about Senator Sanders. We will give you facts you can research. Research, that is how I found out about Bernie, and why I switched from independent to Democrat. Trust me that was not easy for me but, I did it for Bernie Sanders and for you." Written by KerryAnn Murray of Central Florida. Lance Gridër - "Bernie Sanders is gaining ground in most states because his message resonates with people from all walks of life. He will do well in the second half of the primaries...in the progressive east, west, and north. So far, Bernie has won or virtually tied in every single progressive blue state...states that will count in the general election. Bernie embodies honesty, experience, wisdom, and integrity. And his views don't change to accommodate current memes of the day. As more people learn about him, the more they embrace him. Bernie Sanders has long been critical of U.S. foreign policy and was an early and outspoken opponent of the non-defensive Iraq War. He rose to national prominence following his 2010 filibuster against the proposed extension of the Bush tax cuts for mega-wealthy individuals. Even during historic senate/congressional gridlock, Bernie is a leading progressive voice on issues such as income inequality, universal healthcare, parental leave, climate change, LGBT rights, and campaign finance reform. He is also outspoken on civil rights and civil liberties and has been particularly critical of racial discrimination in the criminal justice system and mass surveillance policies and programs. Sanders favors policies similar to those of social democratic parties, particularly those instituted by Nordic countries. Comparing Socialism with Democratic Socialism is like comparing Foosball with Football. And a plane is not a bird. And Bernie Sanders is not a 'Marxist Socialist'...but a pro-market/pro-people Democratic Socialist, who wants a more even playing field for all people including the middle class...via a stronger mixture of social (people) interests, rather than too heavily tilted corporate interests...like most economically strong Scandinavian countries. A Democratic Socialist is pro-market but seeks to restrain destructive excesses and channel government's use of money into creating more opportunities for more people. Democratic Socialists think that both the economy and society should be run democratically to meet human needs, not simply to make profits for a few. 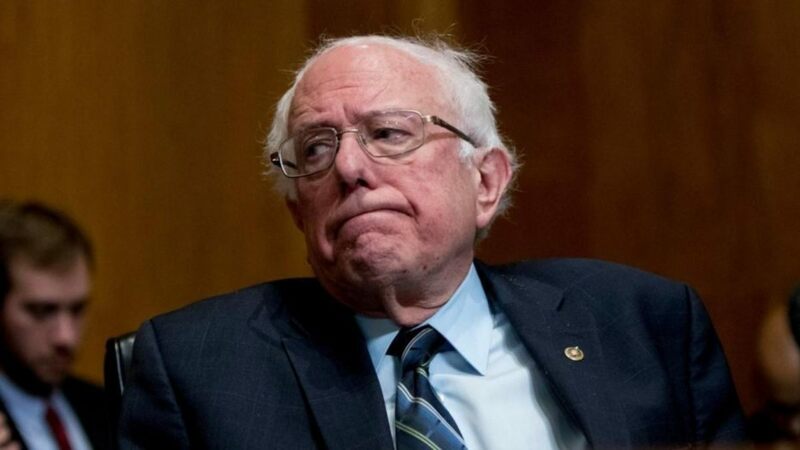 Fyi..Bernie Sanders is five years younger than John McCain...only 1 year older than Joe Biden... five years older than Donald Trump...6 years older than Hillary Clinton. Bernie is younger than nearly half of the Supreme Court Justices. And Bernie has been a public servant for 35 years...longer than some of the Founding Fathers. So...the claim that "He's too old or inexperienced to be president" is a moot point. °Please feel free to 'Like' this post and copy/share it...to help Bernie/US° )))))"
Would You Give Up Your Place at a Bernie Rally? Bernie's rallies are huge events and often a large number end up as overflow outside. Since people wait in line for 2, 3, even 6 hours to get in, it's sad to miss the exciting rally inside the arena. Paige B. of Salt Lake City witnessed this unselfish behavior: I volunteered at the Sanders Rally in SLC yesterday. So here's my favorite thing that happened there. I told her that it was too bad, but the fire marshal had capped attendance at the event. Then she said in the cutest voice, "BUT THEY'RE REPUBLICANS." She went on to explain that they were a little disillusioned with the current candidates and wanted to hear what Senator Sanders had to say. There was a young couple a few feet away that apparently overheard our conversation. They came up to her and said, "Let's go find the Fire Marshal. 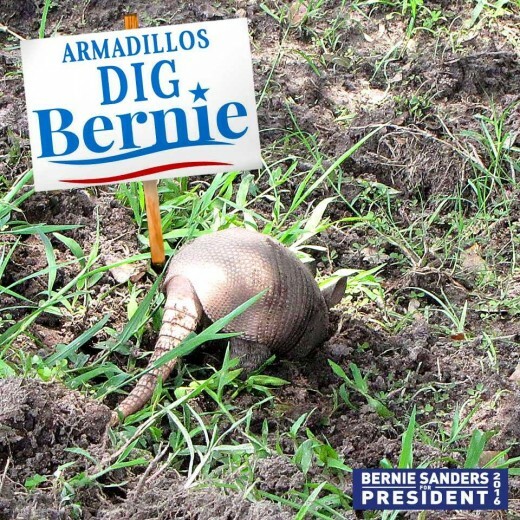 We already know we are voting for Bernie. We will stand outside and let your grandparents come in to listen." Off they went. I don't know exactly how things ended up, but I did see the girl a little later and she was smiling. I hope they got in. I loved that it was "Not ME, but US" in that moment. 2018: Not only would I vote for Bernie again in 2020, but no surprise, he's *still* a rock star to millions of Millennials! Such is his enduring authenticity! lollyj lm - I grew up in solidly Republican Kansas, so I know you are surrounded on all sides by people who are skeptical of Bernie Sanders. Although Bernie has been in Congress a long time, as an Independent, he hasn't been sucked into the divisiveness of Republican VS Democrat. He has stayed true to representing the people. This means we have one chance to elect a president who sincerely wants change and isn't beholden to lobbyists, billionaires and big business. Already a number of fresh faces are planning to run for Congress and calling themselves Sanders Democrats. There is hope to break up the gridlock and actually get something done. As you can see, I'm quite passionate about this. I hope eventually he wins you over too. 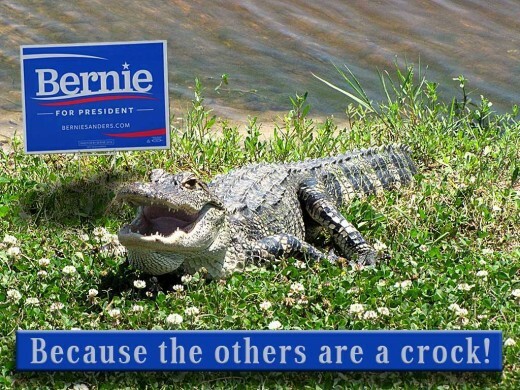 I like Bernie a lot but must admit to a cynical outlook re: all politicians. However, I like his ideas and sometimes feel a tiny glimmer of hope while listening to him. His main problem will be to circumvent congress and the senate as they do nothing while pretending to be concerned about citizens. Enjoyed the info. Well done!! OK, nicomp, you are missing some points here. Yes, Bernie will have the Pentagon and its programs audited to figure out why they keep losing track of trillions of dollars. He will remove insurance agencies and Big Pharma from our health care system to bring costs down for that. The donors you mention, represent thousands of individual workers (AFL-CIO, NEA, UAW, UFCW). The erosion of labor rights has led to Americans working 48 hour weeks and making no progress in earnings. Labor unions helped build the middle class in this country and did away with child labor and other labor abuses. "Anointed himself an Independent" is a curious turn of phrase. The man has been an Independent in Congress for decades. Google "John McCain talks about Bernie Sanders" for yesterday's interview where former Republican presidential candidate and long-time senator talks about his respect for Senator Sanders and what they worked on together for veterans. For the free higher education which a considerable number of European and countries like Australia provide, Sanders would put a small tax on each Wall Street transaction. "What can go wrong?" you ask. Well, it's a long way to the White House and Hi! !ary C!inton will fight him tooth and nail, aided by the mainstream media, by all the bankers and Wall Street, by health insurance and drug industries and the old guard of the entrenched Democrats and Republicans. Since he wants to turn out the old Congress and sweep in new members who will be responsive to the people, all of them will be fighting him. Just the sheer enormity of all that oppose him, makes his supporters realize even more how much his reforms are needed. The revolution is coming. Yep, Bernie will single-handedly reform thousands of bloated programs while adding to them. Makes sense to me. He is beholden to no one, except the AFL-CIO, NEA, UAW, UFCW, and a veritable plethora of other Big Labor donors. And since he annointed himself an Independent he will easily build a consensus on both sides of the aisle. And he will make college free, I assume by confiscating all the income of the 963 billionaires in the U.S.
nicomp - I see you like the use the hackneyed political insults like drinking the Kool-Aid. I'm sorry you haven't listened to some of Bernie Sanders' rallies or researched his well-thought out plans for revising our corrupted government. It seems to make a lot of sense to the voters to get big money out of politics and make policies that benefit the people instead of lobbyists, billionaires and big business. I find it rather glib to say those thousands of voters don't have "two brain cells to rub together." I'm obsessed with the people who drink Bernie's Kool-Aid. I'm fairly edumucated but the gullibility level of these folks eludes me. Sanders' notion that the Federal government is corrupt therefore we need more of it makes no sense to anyone with two brain cells to rub together. Credence2 - this time, I think we have a champion who can overcome all with the help of millions of supporters. We must stay strong and do everything we can to help get him elected. Bernie is truly a revolutionary candidate but the 'establishment' always seems to have a way of extinguishing the flames of passion for a needed change of course. 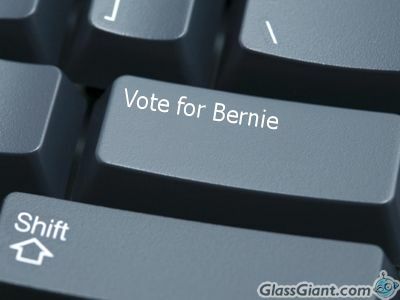 I think Bernie is wonderful and I sure do hope that he wins the nomination and the election. He is a very common sense candidate and that is something very much needed into today's global economic and social confusion.